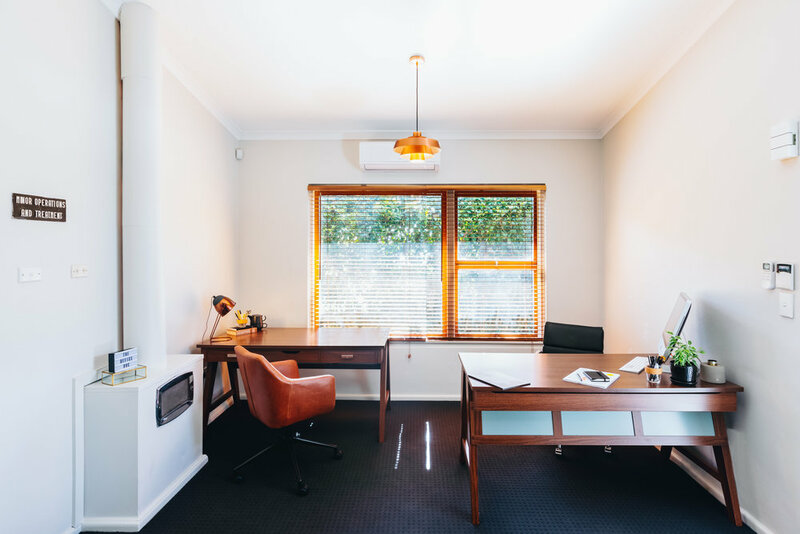 A boutique co-working office space in the Upper Blue Mountains, tailored to the professional and creative alike. Situated in what used to be a doctor’s office in the 1960s, The Office Doc combines retro charm with all the conveniences of modern technology and design. Offering high speed internet, printing services, private and shared desks, and a luxe meeting space, The Office Doc is the perfect productive environment to get your work done.